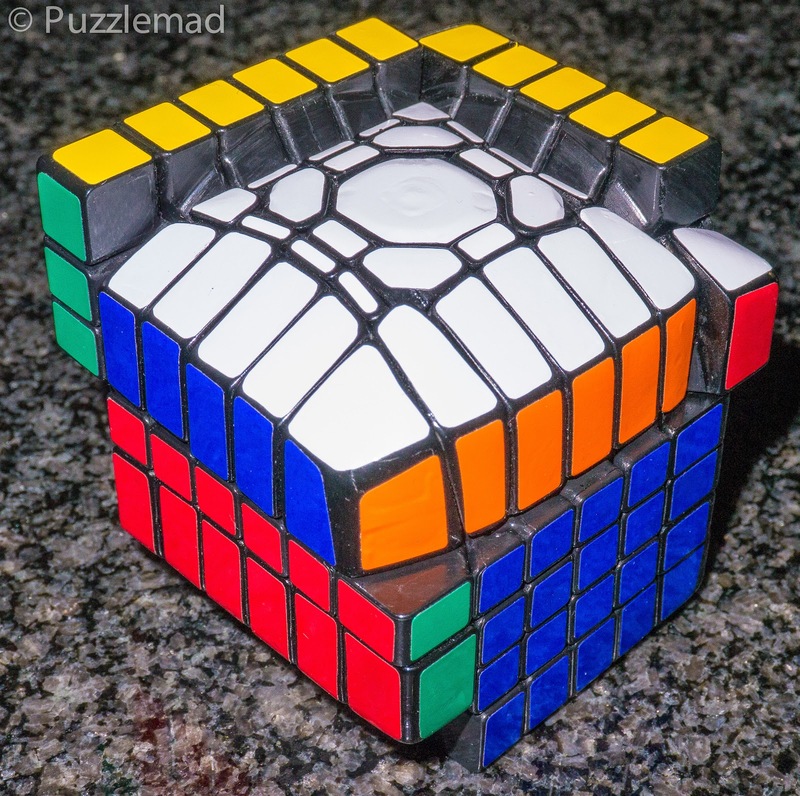 Puzzlemad New Additions: It's Extreme! 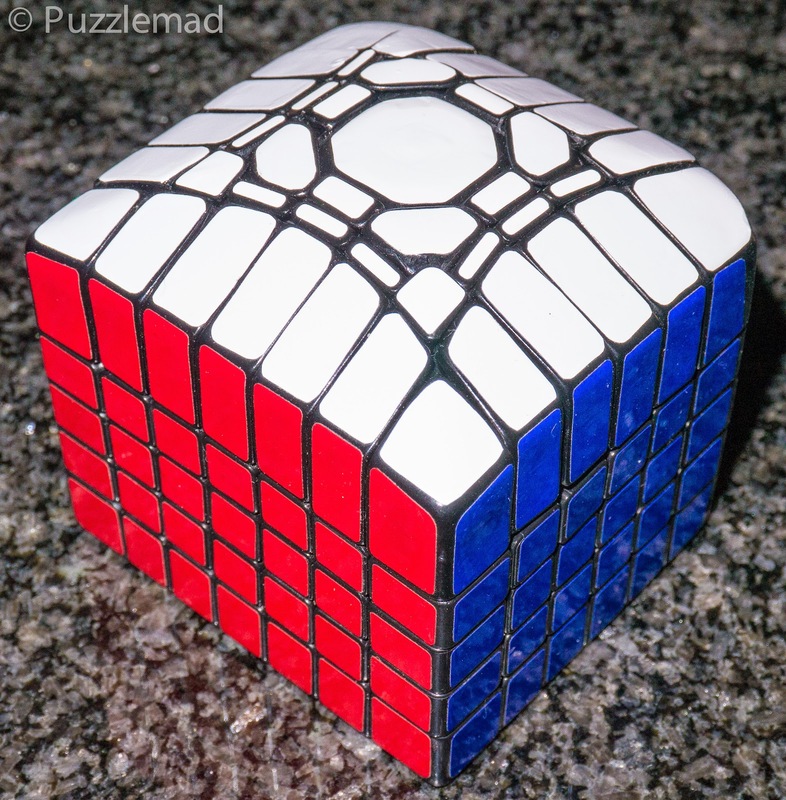 A while ago I received a special hand made twisty puzzle from Greece - a young modder under the pseudonym of Gr_Cubed made me the 5x5x4 Floppy iCube which turned out to be a tremendous fun challenge because it could not be solved like a regular cuboid or like an iCube either and I needed to come up with a new technique to solve it. I now have his next masterpiece - the 5x6x7 Floppy iCube extreme! This was originally shown off by "The master", SuperAntonioVivaldi here. He showed how it has iCube properties in both the x and y axes and is a tremendously difficult solve! 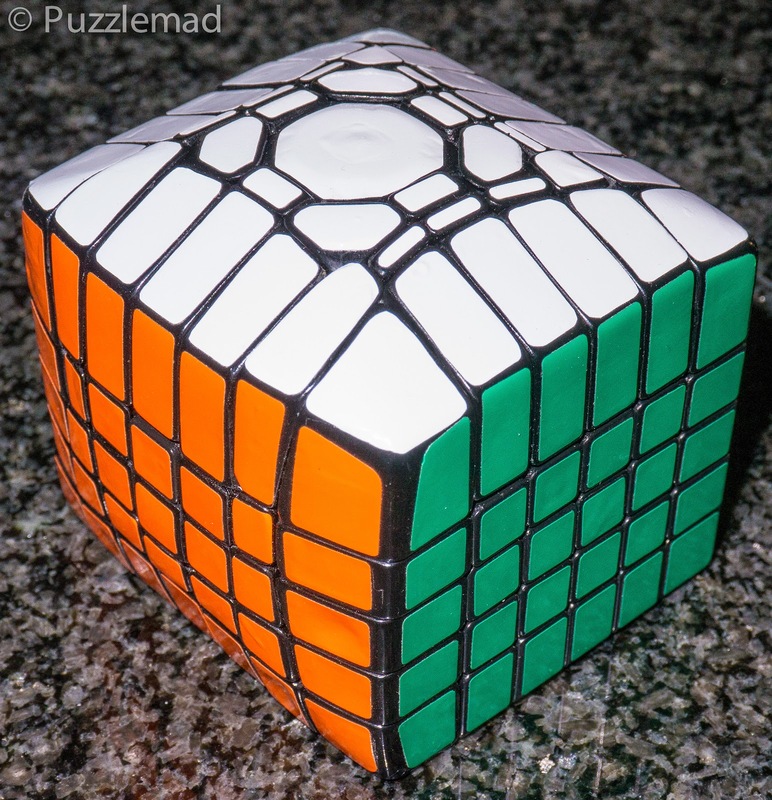 I did not watch how he solved it and have waited until I had saved enough to buy it - at last it has arrived and having made just 3 moves and seen what happens, I suspect I might not be able to solve it!